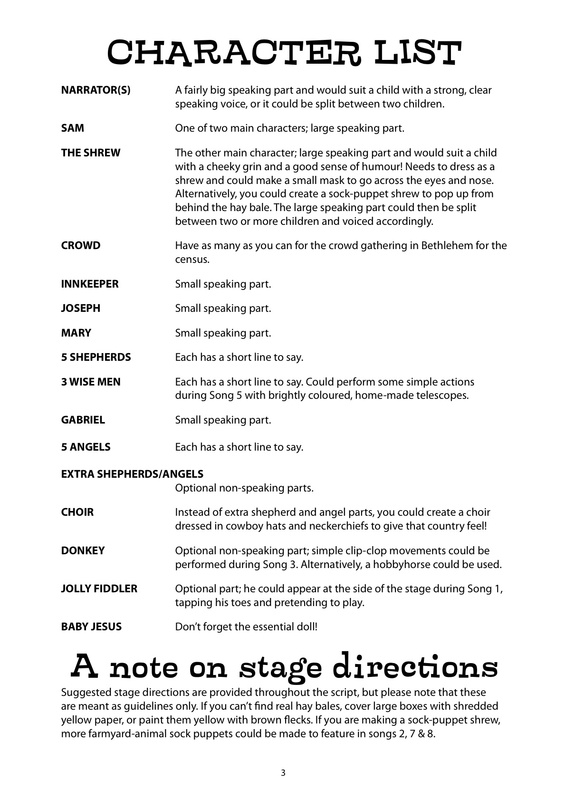 Prickly Hay is an exciting new nativity musical with a fun hoedown flavour. It is narrated by Sam, a hardworking stable boy, and features himself, his faithful friend Shrew and some very special visitors. Now available with Words on Screen™ v2. 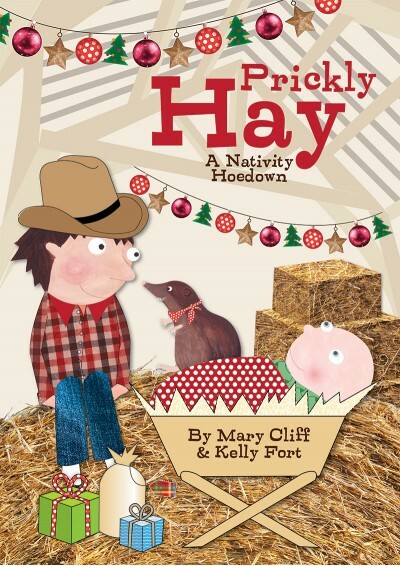 The Prickly Hay nativity combines a very simple script by Mary Cliff with eight catchy songs from Kelly Fort. Incorporating a variety of musical styles, this is a fun and heart-warming nativity musical that is ideal for 4-8 year olds. 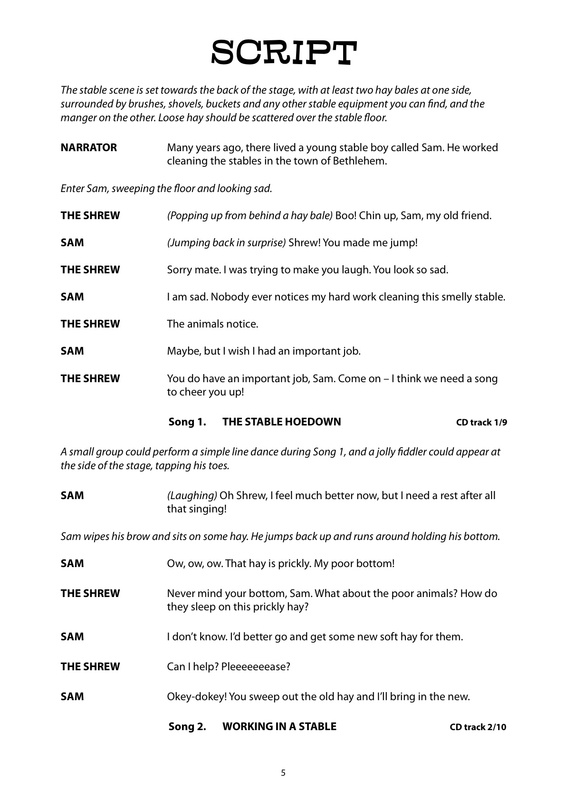 The Prickly Hay story begins with Sam, a hardworking young stable boy, trying to keep the stable clean and the hay fresh for all the animals in his stable - a very smelly job! No one seems to notice his hard work and it's making Sam feel very insignificant. His ever-faithful friend, Shrew, tries to keep his spirits up, but Sam is finding it hard to feel important at all. However, as crowds gather in Bethlehem for the census and the inns fill up, some very special visitors are shown to Sam's stable. Gradually, as the miraculous events of the night unfold, Sam starts to realise his worth - with a little help from his friend Shrew! ²To license the installation of the CD ROM onto network servers and/or two or more computers, please purchase an Annual Performance Licence which includes extended digital rights. I can still remember all of these songs 2 years on which shows how good it is! 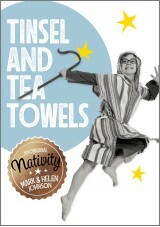 Fabulous nativity with a lot of humour - we had 45 Reception class children performing. Fantastic fun Nativity that we used with 120 Year One children! Children loved the songs and still remember them 7 months later. We have Been performing nativity plays for many years and this one was the best. We were even asked to do it again in the new year because everyone loved it so much. The kids enjoyed it, the songs were lively and catchy....even the workers didn't mind getting up on stage. It was fab!!! Fun, simple, catchy songs, loved by all the children and adults. 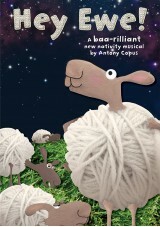 A very lively production with the christmas story at the centre.nBest musical we've ever done! Thank you and can we have some more please? Our P1 - 3 have just peformed this nativity and what a sucess it was. The catchy songs led themselves to dancing and actions which allowed all our pupils to be involved. 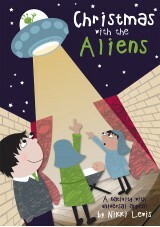 Watched our P1's perform this yesterday. It was wonderful. Great catchy songs and a new idea for the Nativity. Priceless. 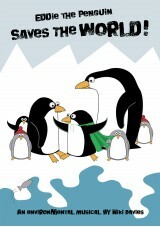 My children are performing this play at the moment at school and its really fantastic. 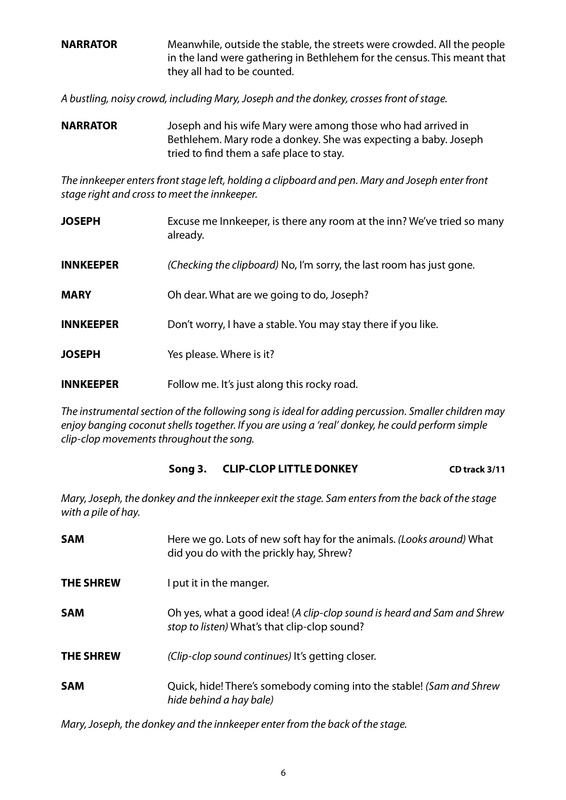 The songs are great, the christian message is firmly there and the kids have loved learning their lines, fantastic product, thanks for Prickly Hay. Beautiful fun nativity play. Perfect for our children aged between 5 and 8. 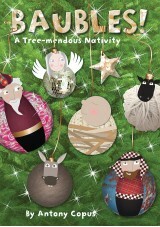 A great way to introduce fun to your nativity celebrations. A boot scooting good time.